I was cleaning out the fridge and saw my jar of bourbon cherries. I was thinking they were pretty old, maybe I should just get rid of them. I opened the lid and was about to dump out the liquid when fate intervened and I decided to smell it. Oh man, it smelled good. So I took a little sip. And this drink was born. This is exactly like a manhattan except instead of rye whiskey I used half bourbon and half of the cherry vanilla bourbon that got created from the bourbon vanilla cherries. 2/2 people in this house agree that this drink was amazing. So smooth, so balanced. 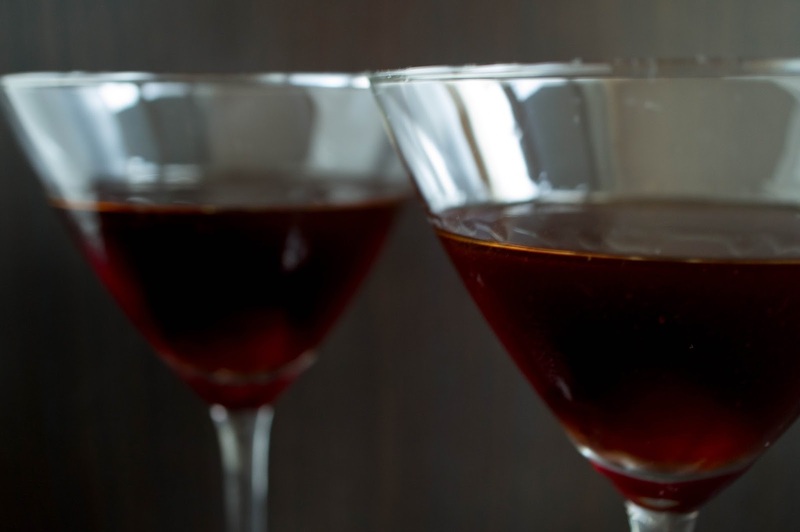 This is your weekend cocktail. 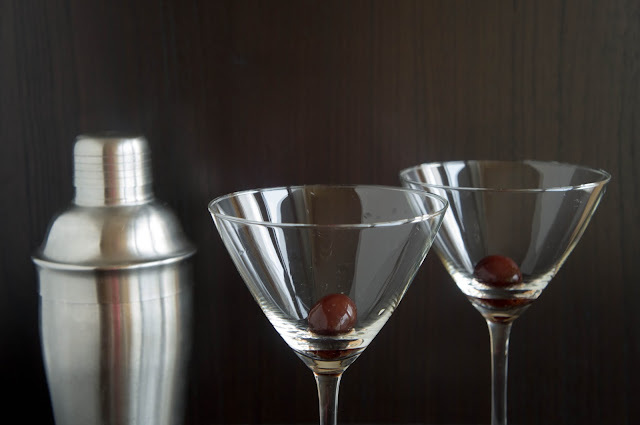 In a cocktail shaker or glass combine bourbon(s), vermouth, and bitters with a couple of ice cubes. Stir to chill thoroughly. 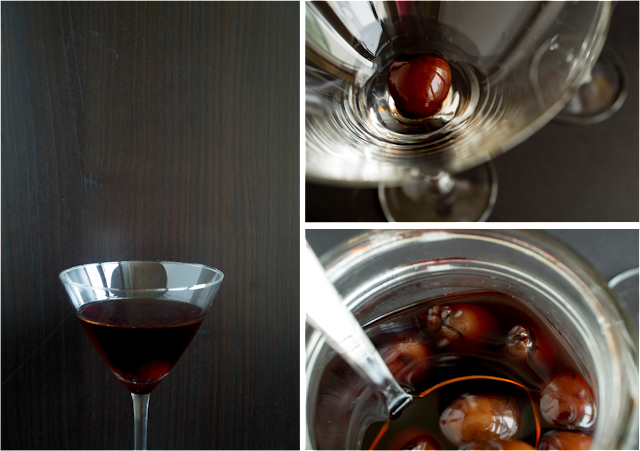 Strain into a chilled martini glass. 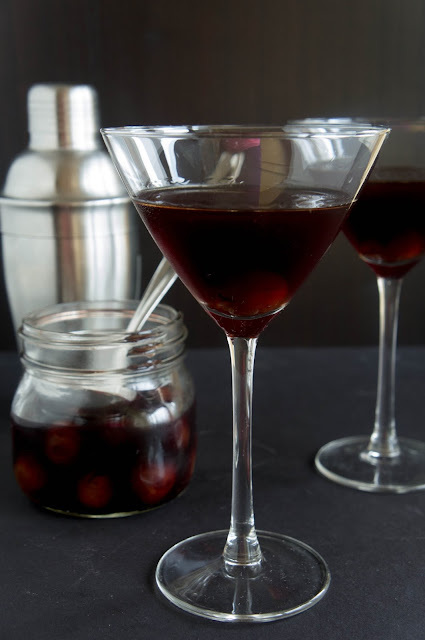 Garnish with a bourbon cherry or maraschino cherry.